Having an aquarium is awesome and generally the day-to-day maintenance is not too cumbersome, but one often unseen aspect of fishkeeping as a hobby has to do with something known as “water quality”. Just because the water in your aquarium looks perfectly clean, doesn’t mean it is a nice place for fish to live and it may even be fatal to them. You see, fish do not just live in water, but water that contains a complex mixture of various chemicals and bacteria. It’s in this natural water that your fish have evolved, and that’s what we have to recreate if we want them to live happy and healthy lives. To complicate this matter even further, not all water that fish live in has been created equal. Sure, everyone knows that marine fish and freshwater fish can’t live in the same water, but even within those categories there are aspects of water chemistry that differ. 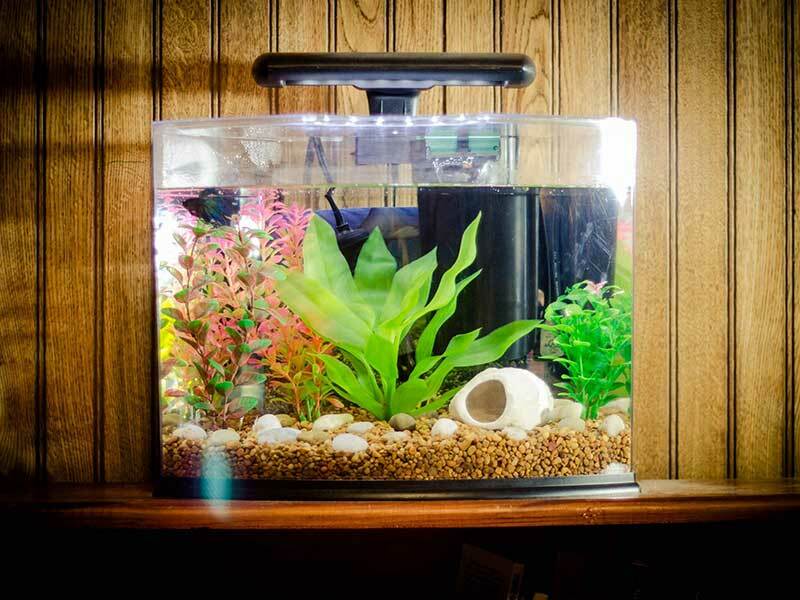 So here I’m going to quickly and clearly outline the most important chemical properties of your aquarium water and what you should do about them. Do get yourself an aquarium water testing kit, which will show you the levels of each chemical we will talk about. You may have heard of the term “pH level” before, but do you know what it is? The actual acronym is short for “power of hydrogen” and is a measurement of how acidic or alkaline your water is. A pH of 7 is neutral, neither acidic nor alkaline. The maximum acidity is 0 and the maximum alkalinity is 14. This is one of the trickiest parts of water quality to deal with. Each species of fish has a particular pH level that they are comfortable at. Many fish can live in a range of pH levels and tolerate small shifts. Ideally you want a pH value for your tank that is comfortable for all the creatures in it. In nature, rivers tend to be more acidic while lakes tend to be more alkaline. The pH range that water suitable for fish can move in is actually quite narrow and doesn’t range too far from 7. In practice, an acidic tank will have a value such as 6.5 and an alkaline tank may be 7.5 or 8. The specific number, of course, depends on your fish. 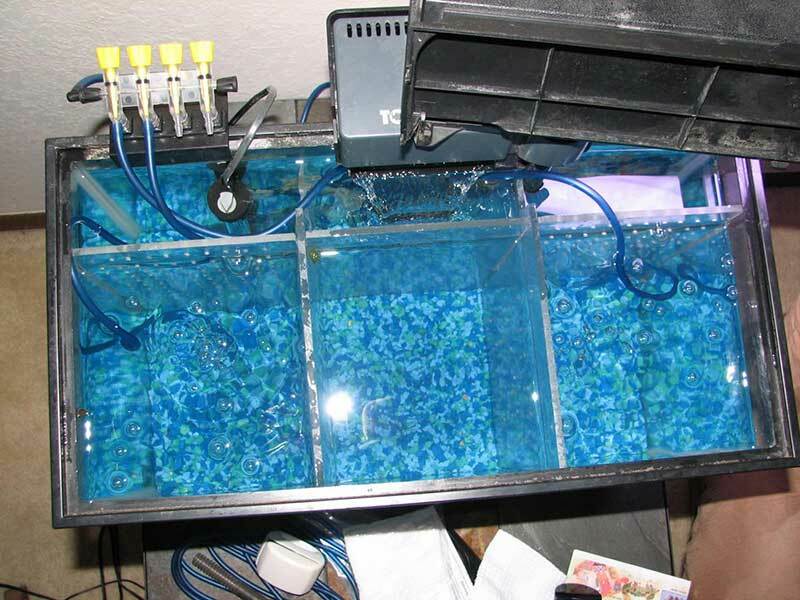 You should only try to change the pH level of your aquarium if it is really an issue. Messing with pH is difficult and often dangerous for your fish. If the fish in your tank are not coming to any harm then it’s better to just leave it alone. For some fish, such as Cichlids, the adjustments are actually simple. They need a higher pH; all you have to do is add the elements to your tank that you’ll find in their natural water. This includes using limestone chips in the filter or using substrate that chemically buffers the water to high pH levels. To lower pH you might add wood to your tank or add peat to the filter. Ammonia enters your aquarium because of fish poop. That’s just a basic fact. The more fish you have pooping, the more ammonia you have. If you overfeed and your fish don’t eat something, that wasted food can also produce ammonia. The problem is that ammonia is pretty poisonous to fish, so you need to get rid of it somehow. Ammonia in an established tank (one that has been cycled) gets broken down by bacteria into nitrites, which are actually worse for fish, but a second species of bacteria then immediately turns those into nitrates, which are harmless in low concentrations. Ammonia and nitrate spikes can be caused by a number of things. Usually a water change or disturbance to the bacteria colony in your filter. That’s why filters should not be washed completely clean, but just enough to allow for water flow and filtration to occur. Many new aquarists make that mistake and that’s how you end up with a tank of dead fish. If you get a serious spike in one of these two you can get chemicals from the pet shop that will break them down almost instantly. The old-fashioned way would be to have frequent small water changes. You can also add additional bacteria that pet shops sell in bottles and vials. I talked about nitrates above so we already know that in low concentrations they won’t harm our fish, but if you let the levels build up too high this will also become a problem. If you have a level that’s too high you’ll see it in the health of your fish; they may lose color or lose their appetites and just become generally unhealthy. One of the best ways to handle this chemical is by having a well-planted tank. Plants absorb much of the waste fish produce, so you can get a little natural cycle going, reducing how much you have to fiddle with water parameters. The way to keep nitrites in check is a weekly water change, although some new chemical additives can extend that time. The last thing we have to talk about is water hardness. The hardness level of water is essentially the amount of minerals that have dissolved into it. There are two types of hardness that matter to the aquarist – KH and GH. KH is carbonate hardness; it lets you know how much carbonate is in the water. Carbonate acts as a buffer against pH swings, but fish don’t like high levels of carbonate, so most people recommend 80 ppm as a good figure for KH. GH is general hardness and is the total mineral content. We can also tell if water is very hard. You can taste the difference between tap water that’s very hard and filtered water which has most of the mineral content removed. Hardness is not a huge worry, unless your water is at one of the far ends of the hardness spectrum. However, some fish have a strong preference for specific harnesses and may only breed if their natural condition is replicated closely. In general, higher pH goes with harder water and vice versa. So fish that like higher pH will also like harder water, and so on. That means that in nature, if the water is acidic it will usually also be soft and if it is alkaline it will be harder. Hardening water is usually simply a case of adding minerals such as limestone chips to the water. Lowering it requires some expensive and complicated filtering, so you should be very sure it needs to be raised. However, you can bring it down more slowly with things like small bags of peat or wood. Apart from dangerous ammonia, nitrate, and nitrite levels, the most important measurement is actually the health of your fish. If your fish are thriving and healthy, don’t mess with KH, GH, and pH. You should, however, monitor these parameters in case they start fluctuating for some reason, since then it may be necessary to reverse the change. Often it is not the absolute number that’s the issue, but the speed of the change. If you maintain your numbers at a level where the fish are happy, you’ll have years of trouble-free fishkeeping ahead of you.